3, 2, 1…the camera is rolling, but what’s your line? The advent of livestreaming has undoubtedly brought the worldwide internet community even closer together. With the simple push of a button or mouse click, you can reach millions. But the use of this powerful tool is vastly different between personal broadcasting and representing your brand. Follow these steps for putting your best face forward. What’s your purpose for livestreaming? Facebook rewards interesting content (https://newsroom.fb.com/news/2017/01/news-feed-fyi-updating-how-we-account-for-video-completion-rates/) with more organic reach. Give the audience something they want to see. If you don’t know exactly what that is, survey your fans via a Twitter poll, or simply ask them on Facebook. Establish how your content attributes to a larger business goal. Examples may include event registration, product purchase or awareness. With your content in mind, determine format. Some go-to options include Q&A and interviews, but don’t let this limit you! Finally, plan where you’re going to livestream. Facebook, Instagram, Twitter and YouTube are all mainstream options your brand can start with. While your overall social media strategy should drive this selection, a great place to start is where your largest fanbase lies. Keep in mind some platforms, like Instagram, delete live videos after a certain time period. Now that you’re set with content, it’s time to get the word out. Cross promote on all your social channels, not just where you plan to livestream. Also, request any participants help spread the word by sharing your social content. As with any presentation, practice makes perfect. 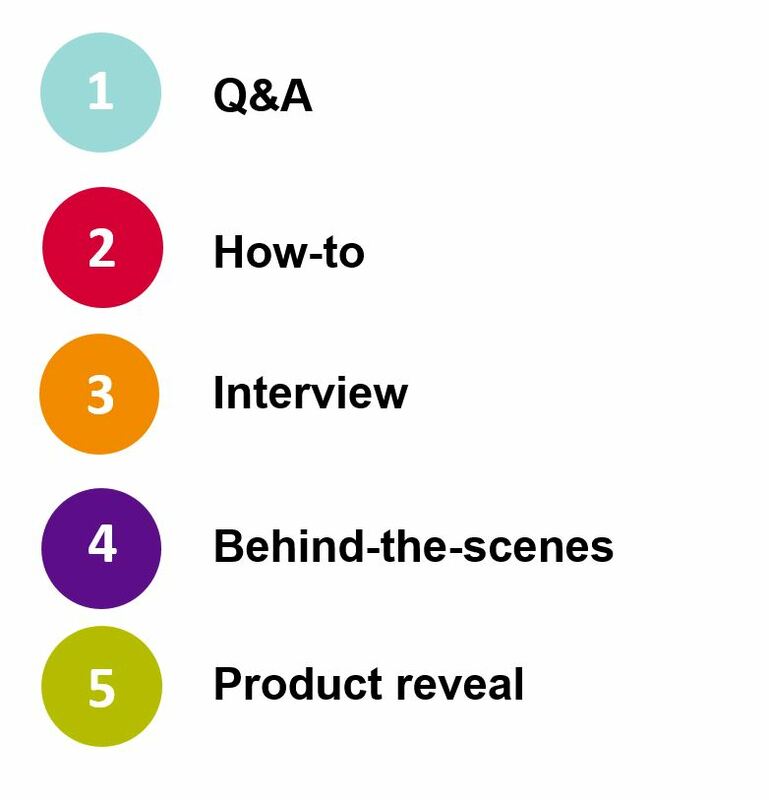 Outline key points you want to get across, and make sure all participants are briefed on them. Do not go overboard though! If you’re looking for a perfectly polished, scripted and edited video, livestreaming isn’t for you. This is also a great time to round up any props you may need and check your background for distractions. Plan to do a behind the scenes? Make sure doors are unlocked. Doing a cooking demonstration? Make sure the entire kitchen knows not to turn on the loudest mixer at that time. We’re all set, let’s go live! Take a deep breath, wait for the countdown, and let the fun start. Whether someone forgets their key message or you trip, something can always go wrong in a livestream. But that’s part of the fun! It humanizes brands. Be sure to stay on your toes, and be ready to adapt to any change in plans. That’s a wrap! But that’s not where your job stops as a brand. It’s time to evaluate if you achieved your business goal. A host of analytics are available with most platforms, and numbers will only continue to grow as the video is shared. Determine a timeline for when you will record results. Time invested in strategy and planning will be well worth it when you’re able to quantify results. It’s also a great idea to hold a recap with participants immediately following the livestream. Review what worked, what didn’t work and ways of improving for the next livestream. With these steps, you’re ready to go forth and go live! Tell us what your brand plans to livestream this fall by tweeting @DEVENEYMKTG.